3/4" x . 031 Gauge x 1,270' High Tensile Steel Strapping. 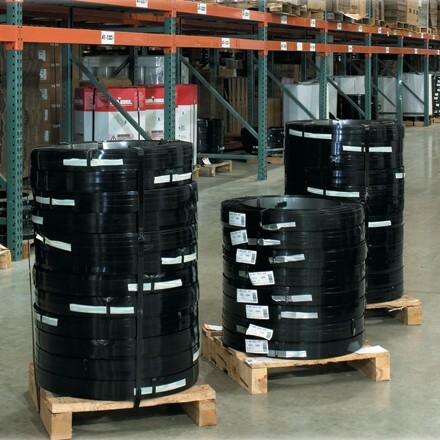 Protect your heavy shipments with strong Steel Strapping. All painted and waxed steel oscillated coils. Approximately 100 pounds per coil. 12 Coils per skid.